A Pleasant Experience Awaits You Here! 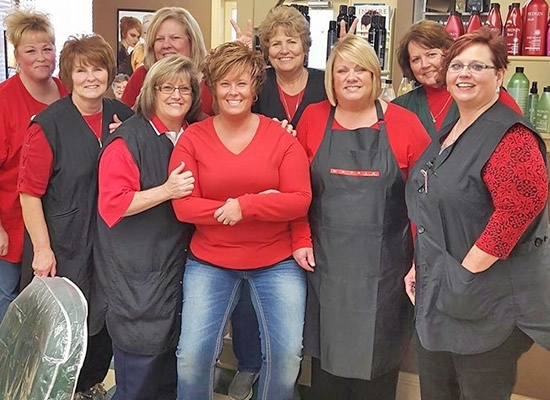 When it comes to premium-quality hair and nail services, no other salon comes close to JW Hair and Nail Salon in Cincinnati, OH. We are a family-oriented salon that specializes in all hair types, including some ethnic hair. We believe in creating long-lasting relationships with our clients based on integrity and honesty, and we always make it a point to deliver remarkable hair and nail services. Our clients enjoy coming to our friendly salon, and they always return to be pampered! Additional toe services are available. Get Personalized Hair Services Here! Attending a party and need help in styling your hair? Tired from work and looking forward to a relaxing manicure and pedicure session? Head over to JW Hair and Nail Salon today, and allow us to take good care of you. We are your dependable source for excellent beauty solutions when you need them the most. Should you have further questions, we are a phone call and a message away.